Earn $0.80 in Rewards credit (80 points) What's This? 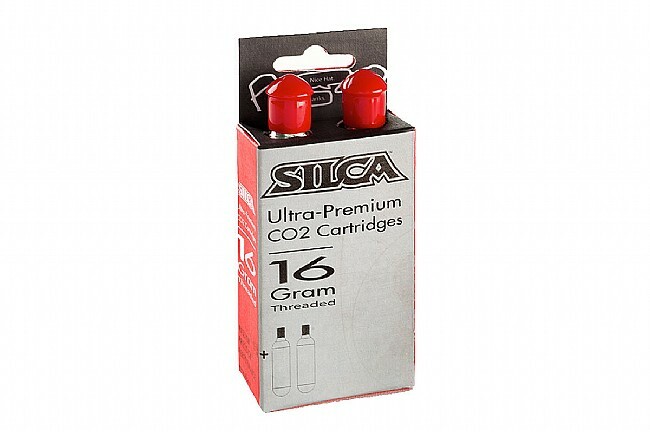 The Silca CO2 Gas Cartridges are, like most Silca products, more than what they merely appear to be. 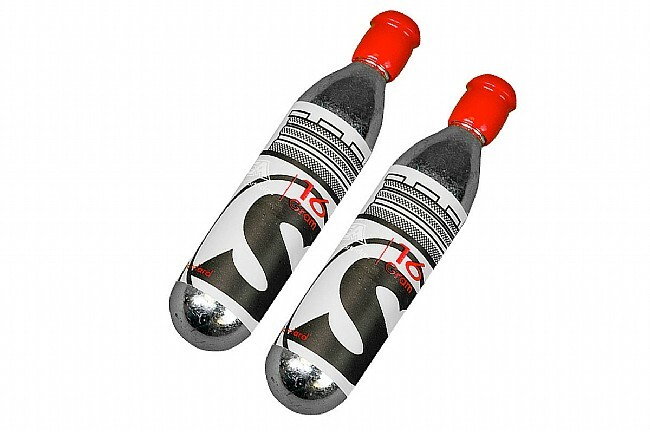 For these ultra-premium threaded canisters, Silca went to the most reliable manufacturer in the world. This means Silca's canisters are filled more accurately versus the competitors', which can have levels of air as low as 14 g, and it also means pre-greased, precision-rolled threads that are protected by a proprietary impact helmet. To finish them off, recycled linen labels are easy to recycle while providing up to 2x the insulation of normal labels to better protect your hands from the cold while in use. Sold per pair. 16 g each. Works with threaded inflators only.